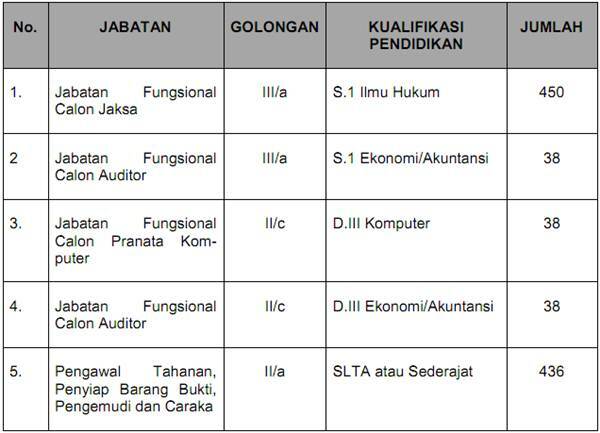 For detailed information about jobs requirements and how to apply in each positions above, please refer apply from Kejaksaan Republik Indonesia on following link below. Registration online through http://www.kejaksaan.go.id/rekrutmen (8 - 22 September 2013). All applications are appreciated and will be treated confidentially.